We have postponed fully implementing the stamina system (for limiting the force of successive punches after a specified number of punches have been thrown) as we need to play test it more. Kinda, free cuz this im guessing is the demo before the release, the Steam version i dont think will be free. At the top, the big red button that says "DOWNLOAD NOW!" where is the game icon? 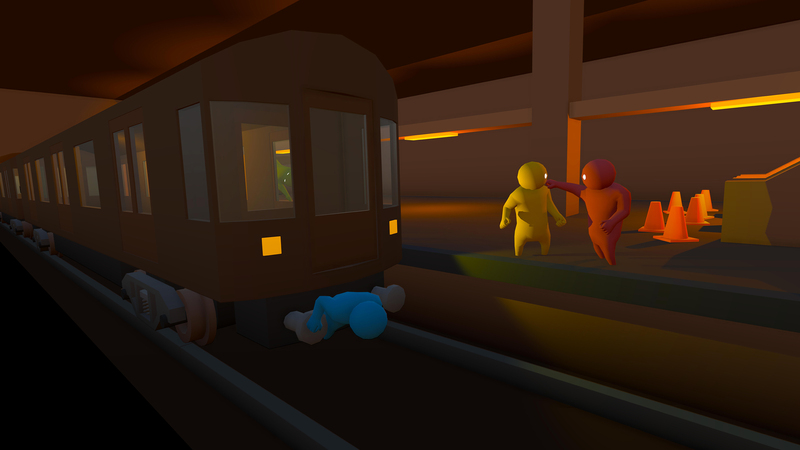 There are no console versions of Gang Beasts currently as the game is in development. When will you release the 0.0.4 version?. It is being continuously updated on Steam. The Gang Beasts pre-alpha builds have limited support for default controller profiles and no default keyboard input scheme, to map keyboard, mouse, or controller inputs use the custom input window that is opened when the "Tab" key is pressed in game. If you are using the 0.0.3 Windows build and find that custom inputs are not accepted, quit the game, right-click the "Gang Beasts.exe" file and select the "Run as Administrator" command (to give the game permission to write to the input preferences). can you play this without controllers? Gang Beasts supports mouse, keyboard, and game controllers as inputs, to map the inputs press the 'Tab' key in game or click the large oscillating yellow text that reads "PRESS TAB TO REMAP CONTROLS" on the game menu. and how do you change it to your keyboard then? i'm sorry i'm just kinda new in playing games and have no idea how everything works yet. Well, when I downloaded it, nothing bad happened. Got to play the game, it was awesome, loved it. Pushed my sister into the ocean, we both laughed. Well, getting back to the point... Yes, I think it's fun, but I'm not 100% sure... But yes, it's safe... And fun. Whatever, I like the game, and I hope this helps. Though, you'll probably aren't going to check if anyone replies on your comment. Since I'm replying on April 5, 2016. And you posted your comment on January 5th. So yeah, fun game though, gets a 5 out of 5 from me. Cheers.